Last night I watched a documentary titled 'Cave of Forgotten Dreams', a film by Werner Herzog on the Chauvet Cave paintings in France. 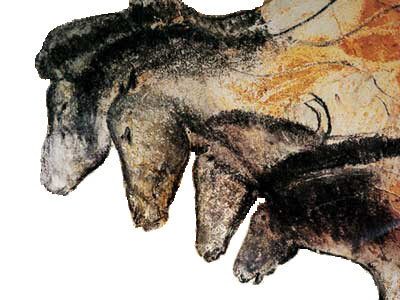 The Chauvet-Pont-d'Arc Cave is home to the oldest known cave paintings, some 32000 years old. When it was discovered in 1994 by three speleologists (read cave explorers) Jean-Marie Chauvet, Eliette Brunel-Deschamps and Christian Hillaire, the cave entrance was completely hidden because of landslides. A large boulder sealed the natural entrance, creating what Werner Herzog mentions in the film, a natural time capsule. 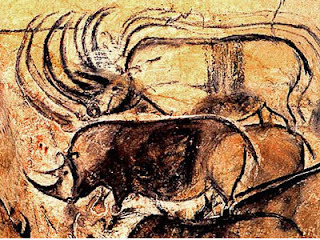 Can you imagine, coming upon this hidden landscape, these forgotten paintings alive with herds of horses, rhinos, lions and other animals on its walls? The silence of the cave, the stalagmites and stalactites, the bones of animals, the absence of light... Time went by one second at a time and there stood those paintings waiting for thousands of years. The documentary tells us a lot about the cave, about how it's being studied and preserved for future generations. But what I loved most is how well the paintings were shown. 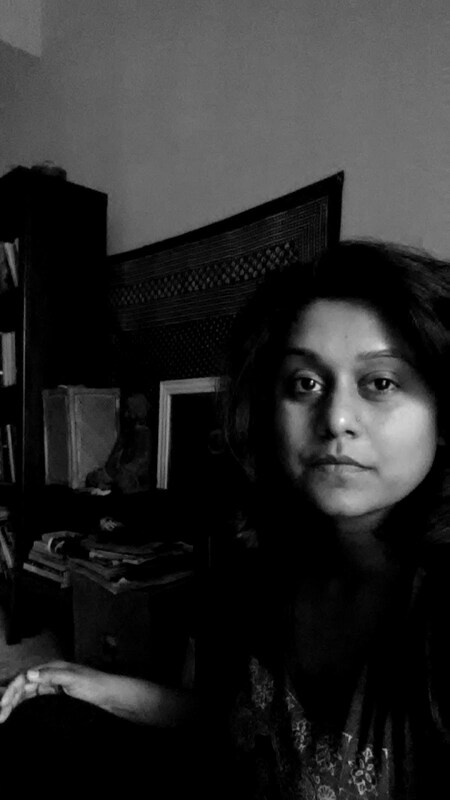 The light moving slowly across the timeless creation, while the thick darkness enveloped the rest. One can imagine the fire burning in that cave 32000 years ago, throwing its light on the walls. The dancing flames giving the drawings a life of their own and those ancient people looking at the animals drawn along the curves of the cave wall. They would have seen what we see - visually engaging works of art. What were their thoughts looking at the work? What I found interesting was how the artists visualised movement - the bison with eight legs, or the rhino's horns drawn repeatedly in front and above its head. The two rhinos fighting seem locked with brutal force. Then there is the herd of horses, drawn obliquely, each horse unique in its rendition. It almost seems like the horses are galloping side by side. And one of the artists made a series hand prints with some kind of red pigment and another with the hand used as a stencil. The artists used various methods to accentuate the drawings - grooves, shading and repeated lines. Further reading told me that before the artists started drawing in earnest, they scraped the cave walls for a lighter coloured wall and a smooth texture. Such ingenuity! Another interesting thing is that the paintings were not done at the same time period. Some of the paintings were made some 5000 years after the first series. The mind boggles! What did those individuals find in that cave and what did those 'new age' artists think of the paintings on the wall? How did they add to what was already drawn? How old did they think those drawings were? You can't help but feel a sense of awe looking at these works of art. It is a beautiful reminder that the need to express ourselves is part of who we are. We have always created and always will, no matter how our language changes. 'Cave of Forgotten Dreams' is an interesting watch - you can see the trailer of the documentary here. 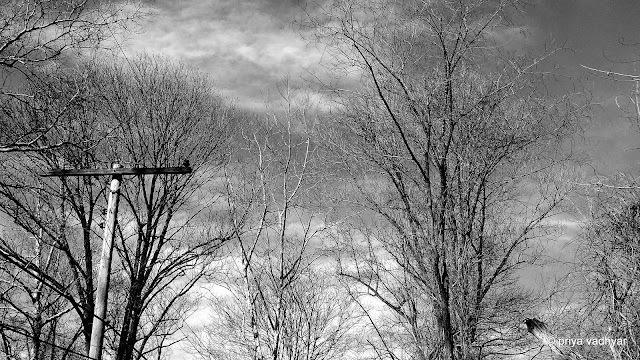 I bet you'll be inspired by the ancient lines drawn with an abandon we all aspire to. Enjoy!